View More In Bathroom Fixtures - Page 2. LESS CLOGGING = MORE WATER PRESSURE! Ordinary shower heads often clog and lose water pressure. They also harbor high levels of harmful bacteria. That's why keeping your shower head clean is essential. 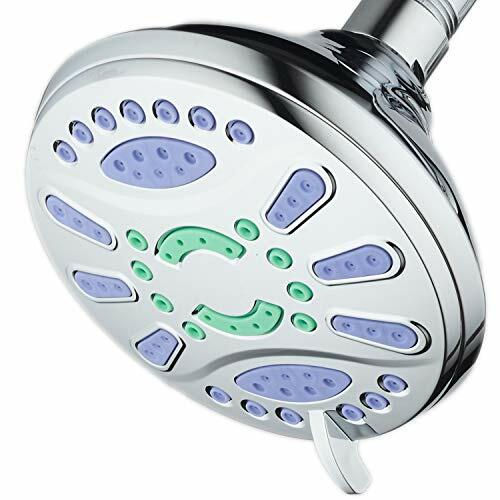 Our shower heads feature ANTIMICROBIAL/ANTI-CLOG NOZZLES made with Advanced Microban® Technology that inhibits the growth of mold, mildew and bacteria inside and around jets. Their RUB-CLEAN tips also prevent calcium buildup. This helps shower head stay CLEAN & CLOG-FREE for better performance. If you have any questions about this product by AquaStar, contact us by completing and submitting the form below. If you are looking for a specif part number, please include it with your message.